Our American Plan includes all the required amenities. Meals are made with love by a Chef with remarkable recipes following our traditions. 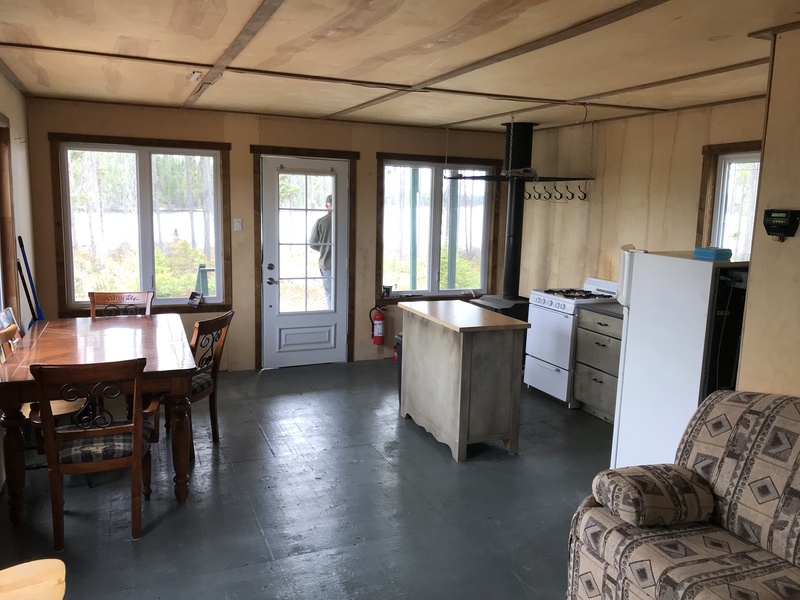 Each cottage includes a wood stove and restrooms. There is a possibility to rent the Cherrier Cottage containing a shower against a little surcharge. Our European plan includes all the required amenities. All our European cottages have a Gas Stove with all the required tools (Pots and pans, Kettle, Utensil, etc.) to cook your meal. In each cottage that can lodge up to 6 people, there is a restroom with running water. Also, there is a possibility to get hot water and a shower inside the cottage against a little surcharge. Newly renovated in 2015, Cottage 6 is now a whole new lodging possibility by it's proximity to boats, by it's inside finishing, by it's comfort and by its unique style. 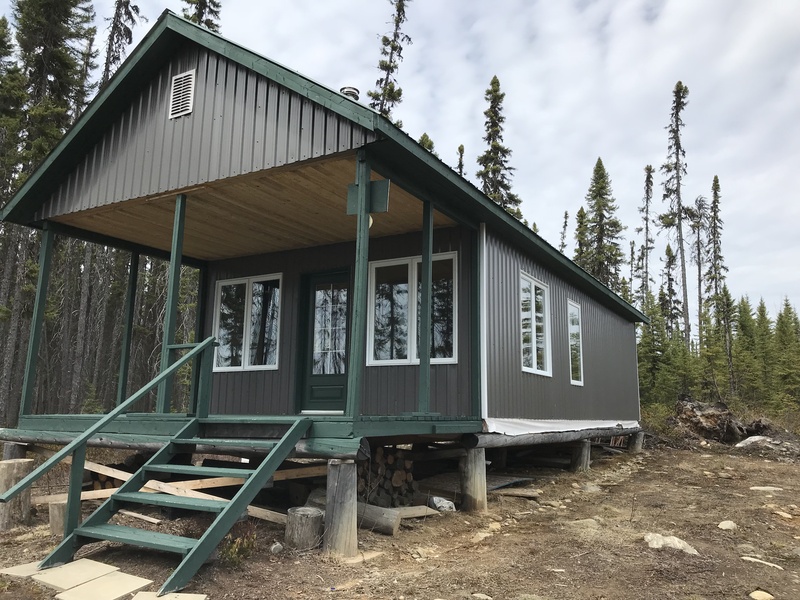 The cottage 6 is providing a unique tranquility by it's distance from the other cottages on the outfitter site. Built in 2014, the 2 outpost camps are giving direct access to the best hunting and fishing locations making them strategical points. Cut from the rest of the world by their remoteness, they give tranquility a new meaning. 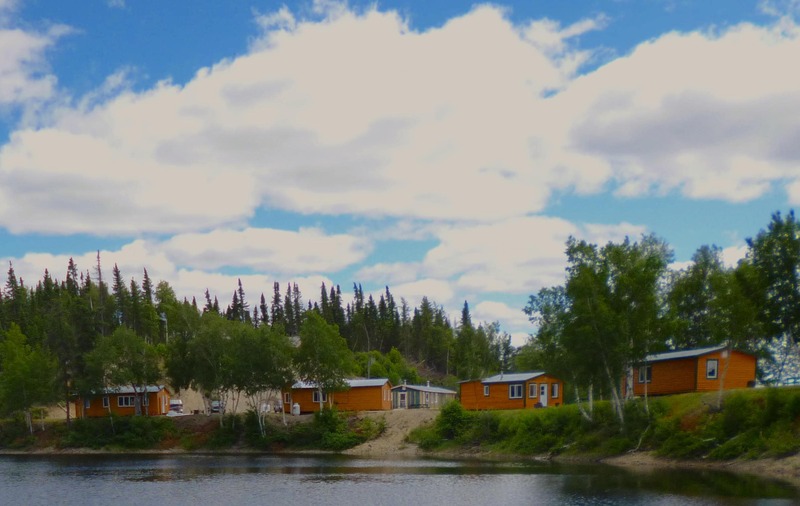 The first outpost camp is located on the Pascagama Lake and the Second one is located on Cèdres Lake. Having all amenities, a group of up to 6 people can lodge in each cottage for a memorable week without problem. Currently under renovation, the Mesplet Camp is located on an island in the center of the Mesplet Lake. The dorm can accommodate up to 12 people and the meals are taken in a second log cabin where the guide reside. The Mesplet Lake is the sole place in Kapitachuan where you have the possibility to fish for trout lake. The sunset are breathtaking night after night.